The laptop acts as an extension for Android phones, and runs on the processing unit of the phone. Its Kickstarter campaign raced to $500,000 in just under 40 hours, unlocking various stretch goals along the way. Sticking with the theme of overachieving Kickstarter campaigns upon which we touched last week, here’s one that crossed 300 percent of its $50,000 funding goal within one hour, raised $500,000 in 38 hours, and activated three of its stretch goals within the second day of going live. There’s still about 25 days left in the campaign and they’re already beyond the $750K mark, so expect more milestones to topple along the way. The product is called Superbook, and it comes from the Andromium stable. The premise on which it is built is simple: smartphones are incredibly powerful. They have become so powerful that they now pack more processing capacity than supercomputers did a couple decades ago. But while the chips that run phones have steadily advanced, their form factor—the small screen size and resulting interface limitations—has hindered a lot of the potential created by the the insane computational power held within. 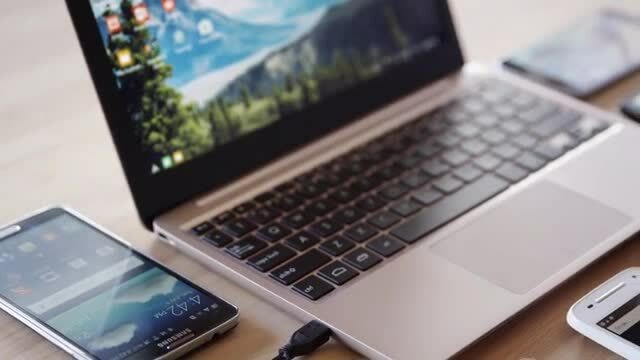 Superbook gives phones a bigger stage to perform on using a “laptop shell”; it is basically a small-size laptop that acts as an extension of the phone, and runs on the processing unit of the phone. The 11.6″ laptop connects to USB OTG-enabled Android devices via a cable and the two are interfaced through the Andronium app available on the Play Store. All files and data are synced automatically. The Superbook is capable of running any app installed on the phone, as well as the complete Microsoft Office suite. Powering the device is a 7,500 mAh battery. Unlike regular laptops, the Superbook has Android navigation keys (Home, Menu, Back, Recent) built into it apart from the regular QWERTY keyboard. Also on board is a multi-touch trackpad and a Type-C USB port. The accessory is compatible with phones made by all Android brands as long as they’re running Android 5.0 or up and have at least 1.5GB RAM. 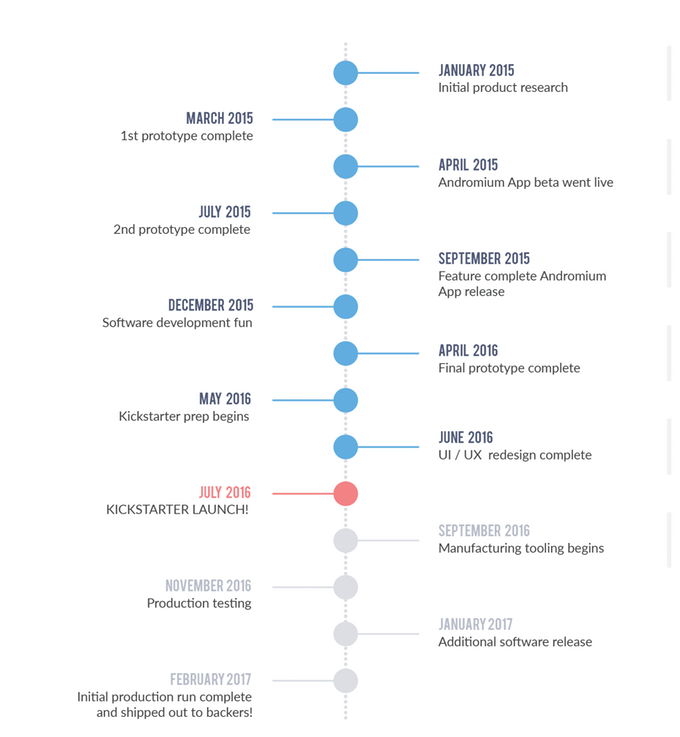 To celebrate breaching the $150K, $300K, and $500K milestones, Andronium announced three additions to the original feature-set. There are now keyboard decals in major international languages for the Superbook. More significantly, the device will come with an additional USB port, as well as a bigger battery that can go 10 hours or more on a single charge. Backers have been promised the option of a 1080p display instead of the standard 1366×768 screen if the campaign raises $1 million. They are on pace to do just that. Now that we know what it is, let’s get to the important question: why should anyone buy the Superbook instead an actual laptop? The first reason would be its price-point. Units of the Superbook are available via the Kickstarter campaign for $99 (the $85 Early Bird pledges have run out). According to an AMA with the Andronium team on Reddit’s Android subreddit, the device is expected to retail for about $129. At that price, it’s significantly cheaper than other laptops on the market. It’s definitely not as feature-rich as the others, but still offers most basic functions users demand of a portable computing device. Another important selling point is that with the Superbook, upgrading your phone doubles as an upgrade to your laptop. Most people buy a new phone more often than they buy a new computer. Generally, you’d have to upgrade both kinds of devices every few years. The Superbook won’t become obsolete as quickly since it mirrors the capabilities of whatever phone to which it is connected. This is pretty cool. That funding says a lot about the product, that is for sure. The other thing is the fact that it can play any app that is on your phone. Makes having a tablet sort of a waste. We may have seen other products like this in the past, but I really like this idea and it seems to be quite strong on the funding. The gadgets are aplenty and each time you get to see one more funded to innovate, better gadgets come from it. Motorola did this already. Google Search Atrix lapdock. This is about half the cost and works with almost all phones. Atrix was for motorolla phones only and had that weird tumor looking shelf on the back. Very good point. There is nothing wrong with moving forward, even just a little bit with products like this. I like it! Apple iPod? Pfft! HanGo did this HDD music player thing already.